"GPS Tracking in the Taxi Industry"
Equipping your taxi fleet with GPS tracking technology is a cost effective and cost cutting necessity in today’s competitive climate. In New York City, GPS-wired cabs are the law. Your city could be next. In May this year, city officials in Calgary, Alberta announced that taxi companies would henceforth be required to share GPS data from their vehicles, so that assessments of productivity, safety, and trip volume could be measured. Some Calgary cab companies reacted to the new rule in protest, insisting that to install GPS hardware in their vehicles would too expensive, increasing the cost of doing business. However, the rules have been laid out with staunch penalties for cab brokers who refuse to comply. Calgary Mayor Naheed Nenshi asserts, “By moving to a new system of regulation, one based on good data rather than anecdotes and empty promises, we can and will make the system work better.” He’s taking action, and encouraging cab companies to do the same. And so you should. Despite what the protesting cab companies may have been told, GPS tracking technology does not have to break the bank. Grab an instant quote here to see for yourself. GPS solutions improve your bottom line, and increase productivity. • Efficient driver dispatch to new service calls based on their location, cutting fuel costs and increasing the number of fares handled per cab. • Improved customer service with dispatchers monitoring the exact location of expected taxis, giving precise waiting times and reporting driver progress. • Monitoring unneeded assets in their fleet, such as unproductive drivers or field locations that are not optimizing driver availability. • Fuel-saving strategies such as tracking traffic and plotting the most efficient routes. • Driver and customer safety, with GPS technology that can support communication in the case of an emergency, track vehicles that have been stolen, and monitor taxi movements in unsafe neighbourhoods. Cab companies have the power to positively impact the way traffic flows in a city, and grow to become better businesses. 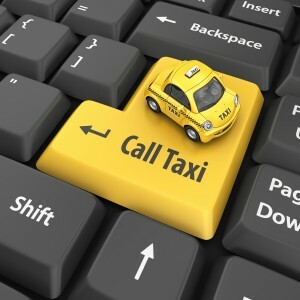 GPS technology could even open up exciting opportunities for cab companies to evolve their role in city communications. Popsci.com author Clay Dillon notes that the way taxis circulate a city makes them “ideal information nodes.” Add that to our list of benefits: powerful traffic control, helping your city run nice and smooth. Equipping your taxi fleet with GPS technology will put that power in your hands today. Your fleet already plays a vital role in your community, moving people and goods on a twenty-four hour basis. Now “up your game” and reap the benefits of GPS tracking! Click here for a list of affordable GPS tracking solutions from GPS Commander! And check out the complete dispatch solutions available at Future Quest Wireless, our corporate parent with specialized experience in the taxi industry.